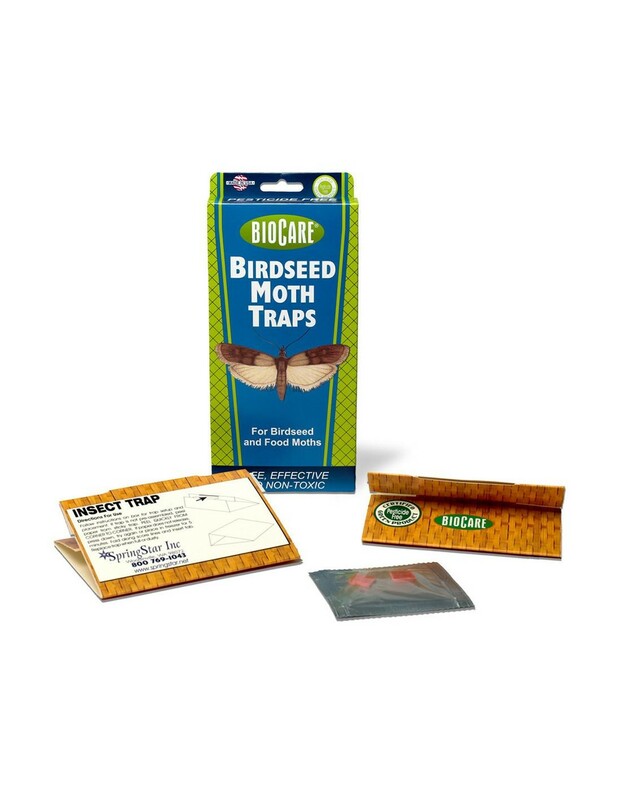 The New Birdseed & Pantry Moth Trap packaged with 2 non-toxic traps capture the moths in your home that contaminate flour, birdseed and dry dog food. 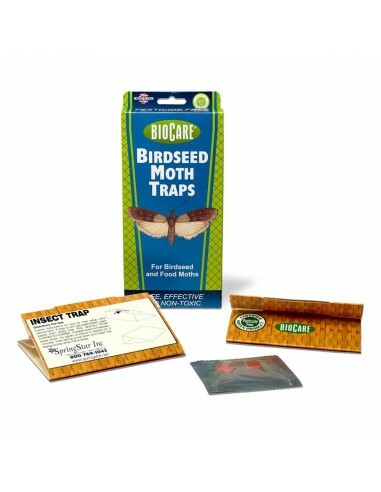 * Traps are completely safe around food products. * A consistent top seller all year round ! Attracts and captures adult flour moths (Indian meal moth, Mediterranean flour moth, almond moth and raisin moth). These insects occur almost everywhere and are attracted by food. The moths lay eggs in cracks and crevices near food, such as in shelving, cupboards and pantries. Adult moths emerge and fly about seeking mates. The Flour Moth/Pantry Moth Trap uses the same chemical messenger (pheromone) that female moths use to attract male moths for mating. Male moths are drawn by the scent and are caught in the trap. Removing male moths prevents mating and egg laying. 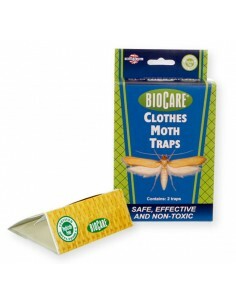 Long-term use of the Flour Moth/Pantry Moth Trap will reduce troubling infestations without the use of toxic chemicals. Attracts and captures adult flour moths (Indian meal moth, Mediterranean flour moth, almond moth and raisin moth). 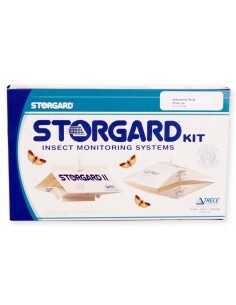 New Flour & Pantry Moth Trap Manufacturer: SpringStar Inc.